During the holidays, we are reminded of the joy that comes from inviting family and friends into our homes and gathering together to celebrate the season. As a Rebuilding Together Seattle supporter, you understand the value in sharing this joy with low-income homeowners in our community. However, there are still thousands of families in the Seattle area in need of our services that may not know how that feels. Each year, we ask our supporters to help us provide Seattle-area families with the repairs they need to stay safe and warm in their homes by contributing to Home for the Holidays: the Annual Appeal. 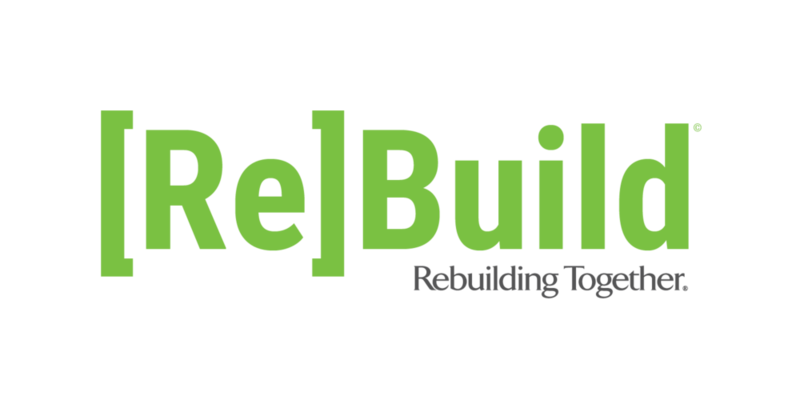 To make a gift to Rebuilding Together Seattle any time, please click the button below or mail a check made out to "Rebuilding Together Seattle" to 500 Aurora Ave N #305, Seattle, WA 98109. Thank you for your support! By giving to Rebuilding Together Seattle, you can help homeowners like Amelia have a safe place to call home. Amelia and her husband Adan purchased their North Seattle home 45 years ago for a mere $22,000. Adan and Amelia had originally emigrated from Peru in search of the “American Dream,” as Amelia still says, her eyes lighting up. Together they raised two daughters, sending them out into the world to start careers and families of their own. Success doesn’t have to get any more complicated than that, and for Adan and Amelia, life was beautiful. Things changed in a hurry though, when 8 years ago Adan suffered a massive stroke, leaving him completely paralyzed. Amelia said to us, “Since then, I’ve been responsible for all the house repairs and upkeep.” Together on Spring Rebuilding Day 2018, Amelia’s daughters and a team of volunteers from Assumption Parish worked together to tear out carpet, restore hardwood, address electrical and lighting issues, build handrails and install grab bars, clean the roof, siding, and gutters, replaced a leaking bathroom faucet, put in a new vanity and toilet, cleared two clogs in the sewer line, and addressed a major leak in the kitchen that lead to the replacement of the kitchen floor, cabinets, and countertops. With your help, Rebuilding Together Seattle can provide homeowners like Amelia with critical improvements they need to live safely and independently in their home. Join us in giving today - donations of any size make a difference! Multiply your impact: fundraise with us! Now you can help expand Rebuilding Together Seattle's community impact by hosting your own online fundraising campaign! An online fundraising campaign is the perfect way to spread awareness and raise funds toward Rebuilding Together Seattle's Home for the Holidays. Click the button below to learn how you can launch your campaign today!